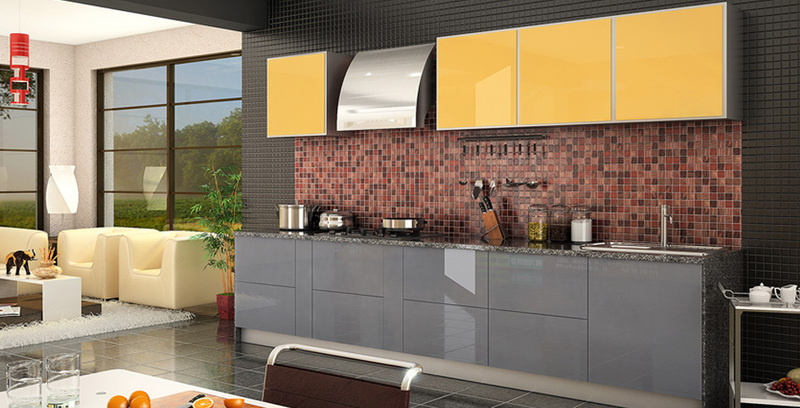 What exactly is a modular kitchen? 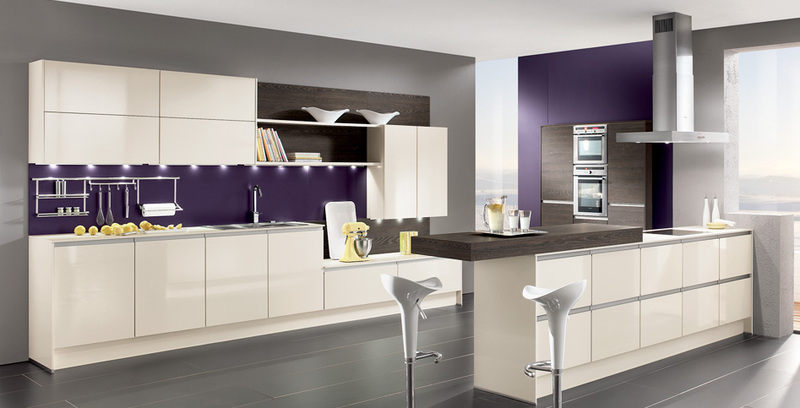 A simply a term used for the modern-day kitchen furniture layout which is especially designed to optimize functionality and the use of space. 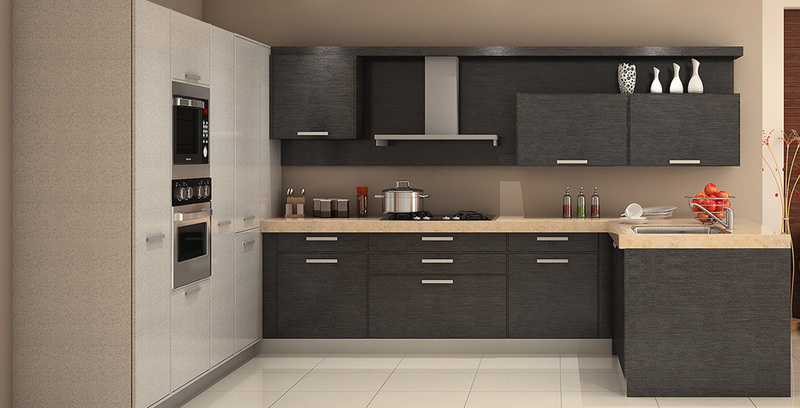 These kitchens use various modules (units) of cabinets that are crafted out of diverse materials and hold kitchen accessories inside. 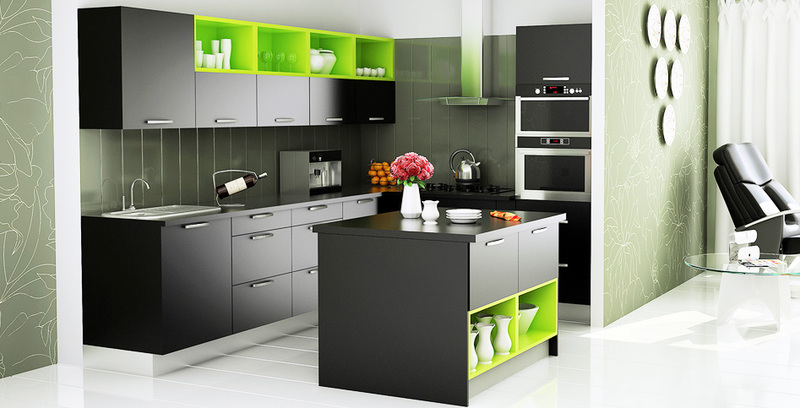 The basic structure of a modular kitchen is extremely practical. 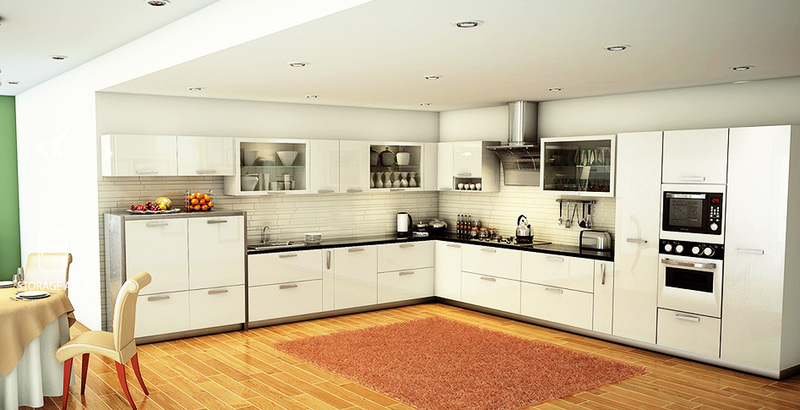 The units on the floor are called 'base cabinets' and serve as the foundation for the kitchen worktop which is usually made out of granite, marble, tile or wood. 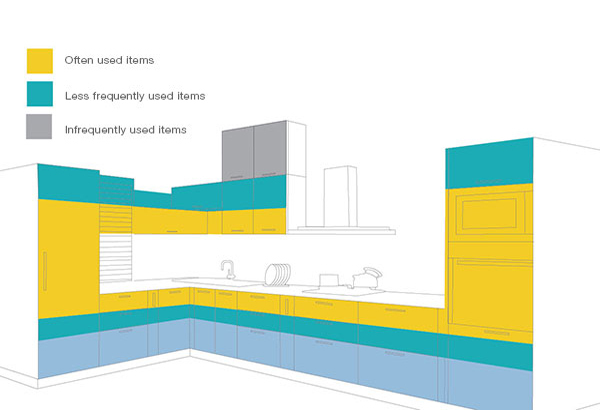 The ones fastened on the wall for storage purposes are known as 'wall cabinets'. The first thing you do is visit our store. 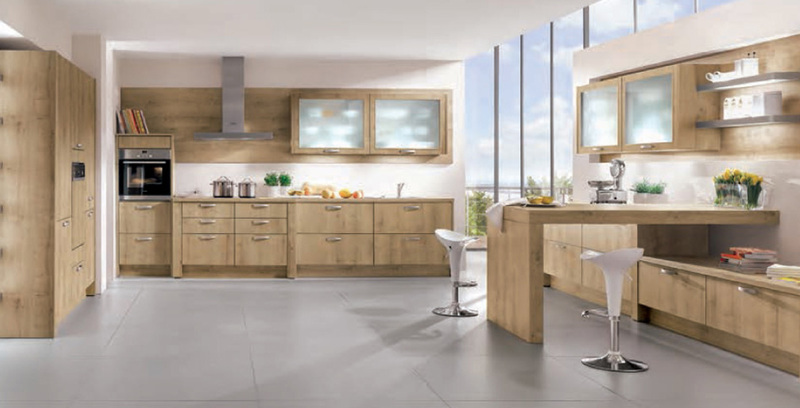 The different modular kitchens on display will allow you to understand the layouts and components, giving you a fair idea of what would suit your space well. After understanding the various layouts, components and materials of the modular kitchens on display at our store, allow our designers to help you think a step further. The designer will ask you a series of questions. Post your approvals on the design and finalisation of suggested accessories and appliances (based on your budget), the designer will send a team of technicians to your place for actual measurements. 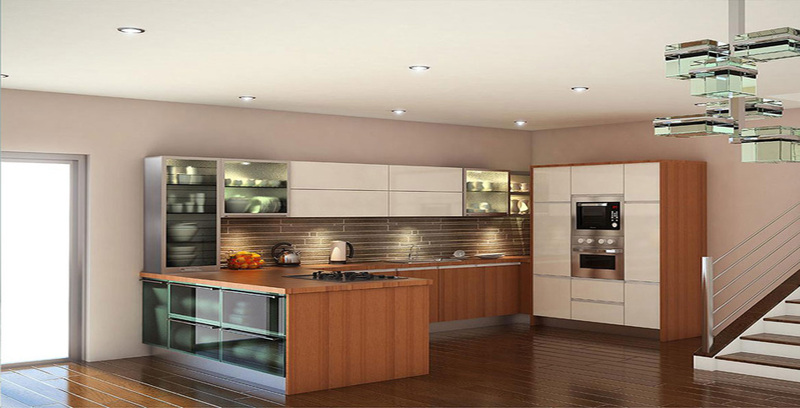 Once the made-to-order kitchen components and cabinets are delivered to your home, our well skilled and efficient installation team will assemble the kitchen within 48-72 hours, depending on the area. When you plan your kitchen, our supervisor or designer will first undertake a site visit to get all the detailed measurements of your kitchen. This will also help them understand your requirements. If you need any extra storage space, appliances and so on, remember to inform the designer at this stage itself. 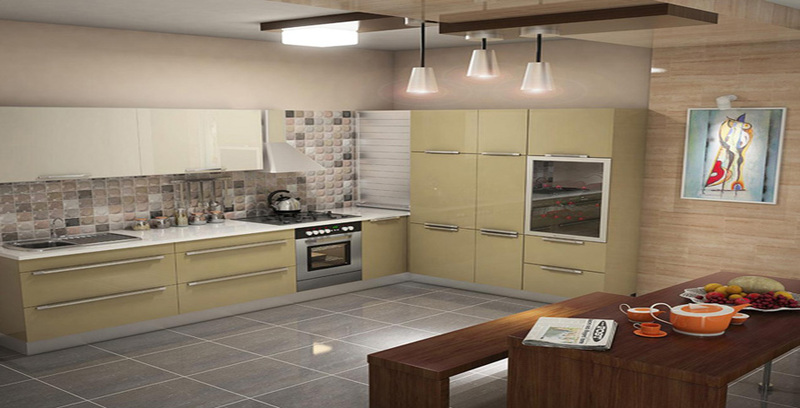 This is so that your kitchen can be planned and designed in a systematic way. Once the cost and design of your kitchen is finalized, we will give you all the electrical, tiling and plumbing details according to the final layout. After all the civic work is done, our team will take the final measurements of your kitchen and will also inform you if there are any changes in design due to civil changes at the site. Then, we will place the order and have it delivered within the required time frame, with the finish and material selected by you. 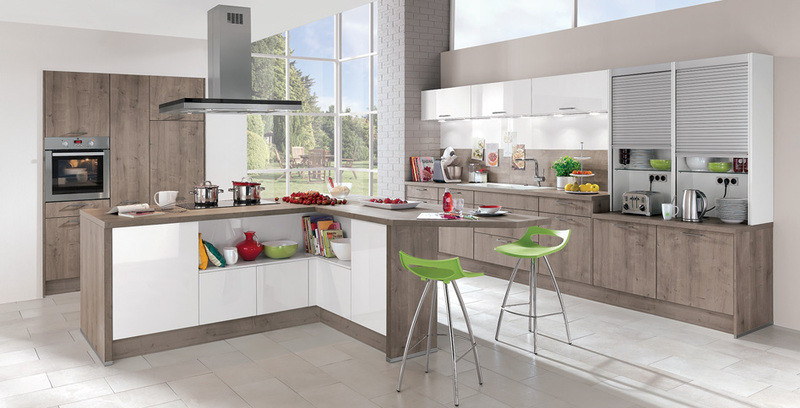 After installing your kitchen, our service department will also provide you with a warranty card so that you can contact us easily for any service issues.